Gifted with the powers of chaos magic and the ability to warp reality, Scarlet Witch hexes her opponents, cursing them with probability magic. Real name Wanda Maximoff, she first appeared in comics in 1964 and was originally presented as the daughter of mutant supervillain Magneto. Entering the Marvel Cinematic Universe alongside her brother Quicksilver in Age of Ultron, she has since become a young member of the Avengers, fighting in 2016 film Civil War on the side of Captain America. At Superheroes Direct, we offer fans of this superheroine a variety of apparel and collectibles, including POP figures depicting her varied looks from her MCU appearances. 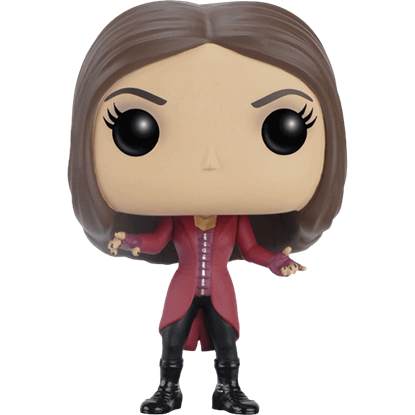 Keep checking back here at Superheroes Direct for updates to our selection of Scarlet Witch merchandise. The Avengers return in the film, Age of Ultron, to defeat a technological enemy bent on the destruction of the human race. The Avengers 2 Scarlet Witch POP Figure depicts Wanda Maximoff, who manipulates minds and throws energy blasts. 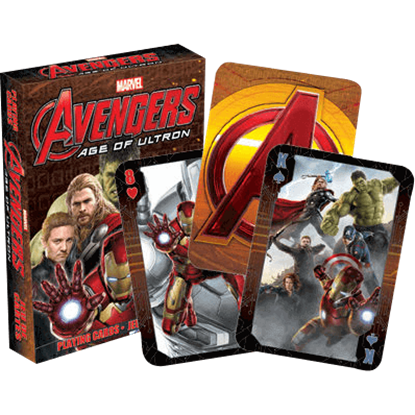 Share your love of Earths mightiest heroes with this official Avengers Age of Ultron card deck! You can play all of your favorite card games while enjoying graphics from the Avengers sequel film and its cast of superheroes. In the conflict between Captain America and Iron Man, Wanda Maximoff remains a wildcard player! 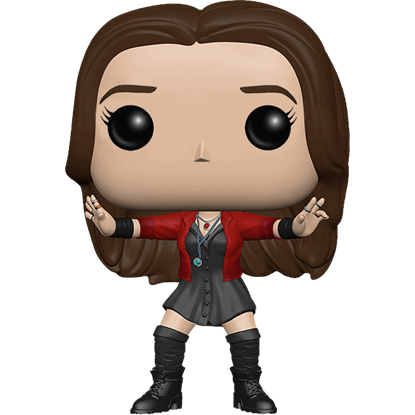 The Civil War Scarlet Witch POP Figure displays the telekinetic, mind-manipulating sorceress from the third Captain America film.